One of our favorite nerd toys is the JetPack hotspot, an Altoids box-sized device that uses a cell phone signal to create a wireless network anywhere a traveling person needs to get some work done. 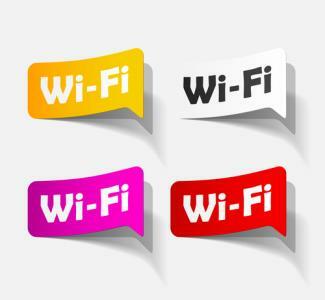 One of the most useful places for such personal wireless devices is in hotel conference rooms, as hotel wireless signals are often unreliable, especially with a bunch of people in the room trying to use them at the same time. In addition being unreliable they might not work at all if a recent story about Marriott is any example. It seems Marriott decided to force conference organizers to pay for participants to use the hotel's wireless network by jamming all the personal hotspots. Well, the FCC stepped in after customer complaints and ended up fining Marriott $600K for intentionally disabling hotspots. You see, it is against the law to willfully or maliciously interfere with radio signals and has been since the Communications Act of 1934. A more logical approach in our opinion would have been to provide wireless universally in conference spaces and build the cost into general usage fees, but then what do we know. For bankers, conferences are a critically important way to gain education when they are done right. That is why we are big fans of attending a few of the best events in person (like our EMC Apr 26-29). Attending in person provides the ability to focus more effectively and networking with peers is also hugely valuable. Since the crisis, and with the advent of technology, bankers have been inundated with the electronic variety of the conference known as the webinar. These can be quite convenient and we attend some each year. The webinar allows you to log into the meeting from the privacy of your own office. You don't have to leave your chair and you can even eat your lunch without bothering anyone else if you are a messy eater. You can also answer emails, text your pals or check your Facebook page. It's the perfect solution for some, but less effective for others. On the good side, webinars are less expensive and more efficient in that no one has to travel. That said, there are also significant drawbacks. Studies show most people don't pay as close attention during a webinar as they would were they at a meeting in-person (because it is possible to do other activities at the same time). As you look at your education program for 2015, your bank certainly wants to provide opportunities for employees. The key is to balance the cost/reward ratio of sending an employee in person vs. a webinar, so we thought we would offer some ideas. Continuing education seminars or a short one-subject course are the perfect choice for webinars. Multi-day conferences or educational events with multiple subjects and other bankers attending are the most valuable to attend in person. For any conference, be sure you are getting educated and that information is up-to-date (some speakers make the circuit over and over repeating the exact same message). You need to get value no matter what the venue, so be sure to check the agenda. At a well organized conference, there is so much knowledge to be gained on a variety of subjects from speakers of different backgrounds. Getting to know your peers and competitors also gives you valuable insight into how others go about their business, plus make friendships which can last a lifetime. You have to choose how best to spend your bank's education dollars, but the experience to be gained by attending conferences is an important way to bring new energy and ideas home, as well as encourage valued employees to stay up-to-date. Sprinkle in webinars where appropriate, conferences where you can and hopefully no one will nuke your hotspot while you are attempting to download the presentations. Treasury yields saw a 4bp drop by the close of the session as price levels caused investors to jump off the sidelines. Yields are currently up 4bps ahead of jobless claims. The Fed said it will change the way it calculates the federal funds rate and look to transaction level data directly from banks vs. the current method of calling around to brokers. The Fed said this will improve the accuracy of the data. Meanwhile, the Fed also said it would publish an overnight bank funding rate calculated using transactions in both federal funds and Eurodollars within the next year. Community banks should monitor the relationship between Alibaba and Lending Club because it is focused on small businesses here in the US. The two have agreed to offer financing to US businesses that buy things from Chinese manufacturers using the Alibaba marketplace. Loans offered can be as large as $300,000 for up to 6 months term. A Bank Director Conference survey finds that while 60% of attendees said their bank will probably be an acquirer this year, only 16% said their bank is likely to sell. The FDIC indicates it frequently will make the following recommendations to banks related to interest rate risk: establish appropriate risk limits; perform 300bp to 400bp interest rate shock scenarios; enhance/support key assumptions used to analyze IRR, especially deposit and prepayment assumptions; refine sensitivity testing of key assumptions and strengthen the independent review process. Now that you know, you will hopefully have more time to prepare for the next exam. Fidelity reports the average 401(k) balance reached a record $91,300 at the end of 2014, up 2% vs. 2013. The average employee put away 8.1% of their salary, the highest rate recorded since 2011.